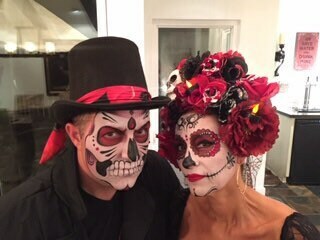 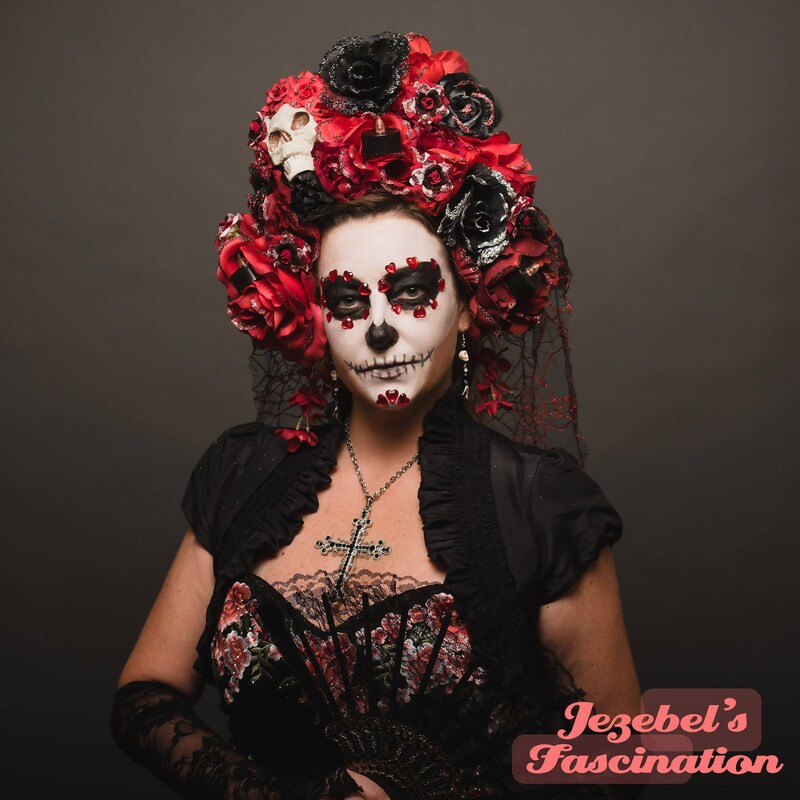 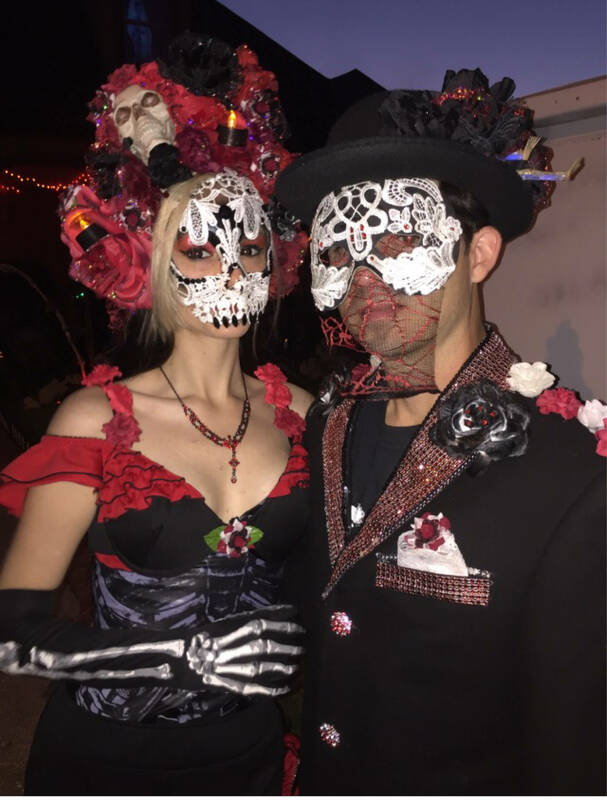 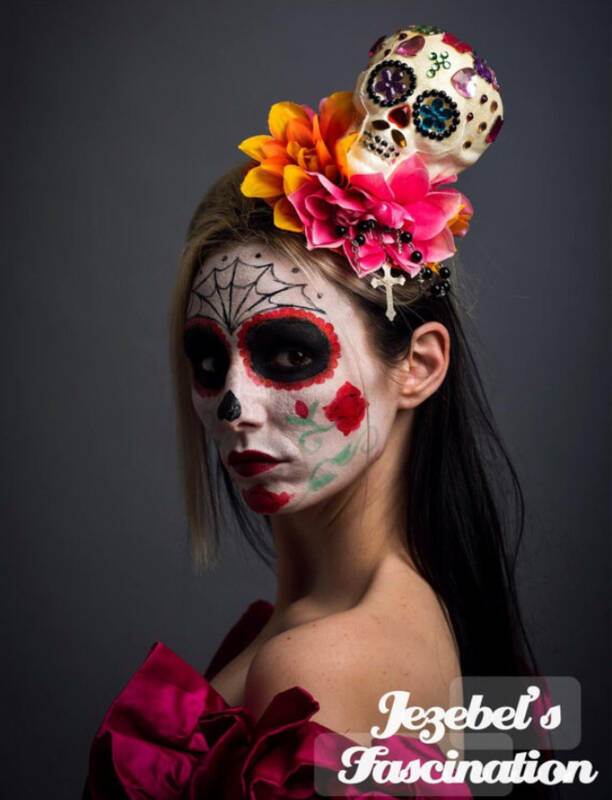 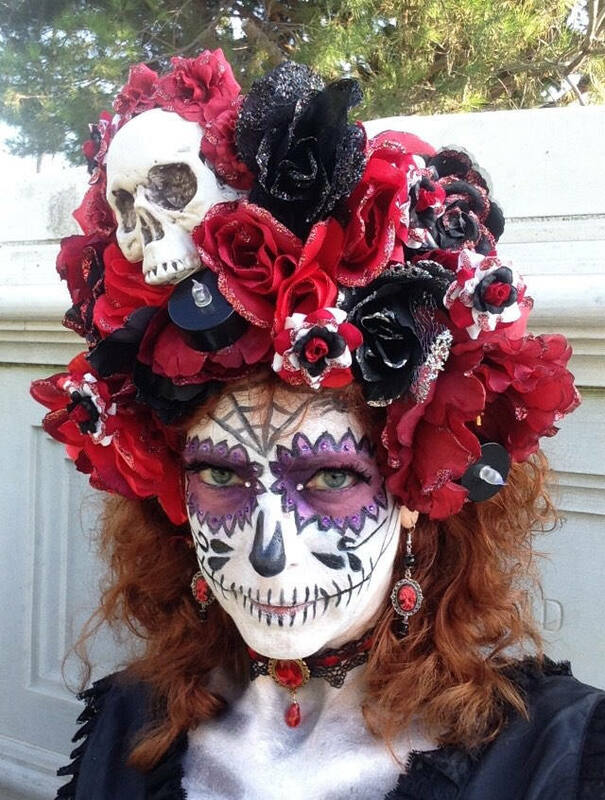 Carona de los Muertos – A completely oversized Dia de los Muertos headdress all in black, white, and red roses, boasting a tiny skull with his own flower crown, topped off with a black lace veil—mantilla--accented with red spiderwebs. 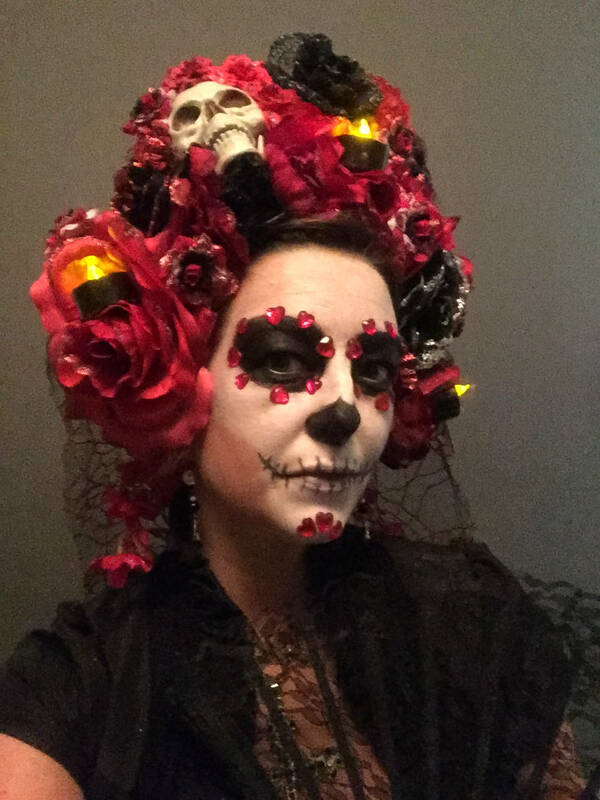 The entirety of this piece is topped off with three glowing black candles so you can really feel like you're visiting, Janitzio Michoacan, while celebrating dia de los muertos! 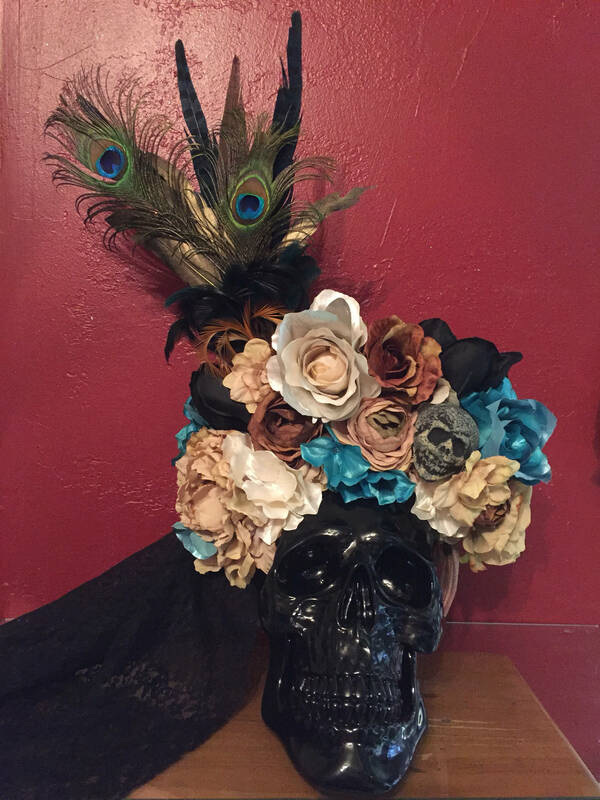 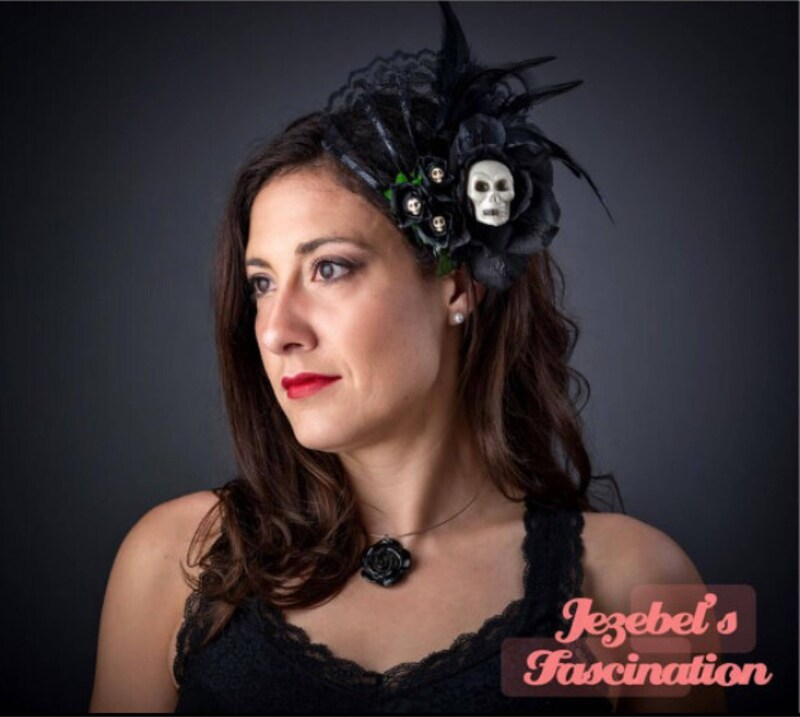 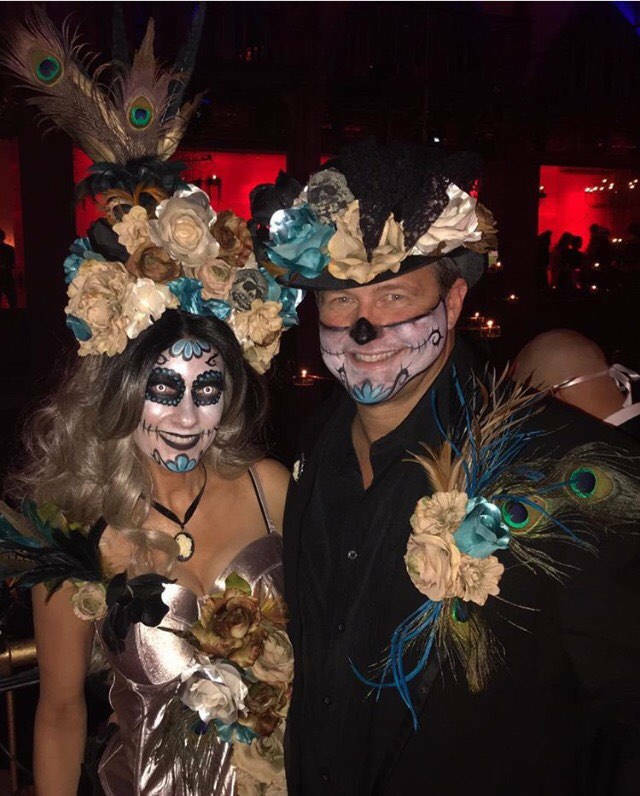 I would like to give a special thanks Artemio Enriquez, a native, born and raised in Mexico, for sharing his experiences with Dia de los Muertos and the ancient Aztec culture, which helped to inspire this headpiece!